An accreditation scheme that assesses the Health & Safety competency of contractors and service providers. A rigorous independent assessment that offers assurance that we are in sound financial health with all necessary Health & Safety systems, insurance coverage and other requirements in place to be a competent supplier to large corporate organisations. The largest independent, professional and educational body within the cleaning industry. A key developer of the core criteria held in the Approved Code of Practice which supported the Construction (Design and Management) Regulations 2007 (now recognised as CDM 2015). 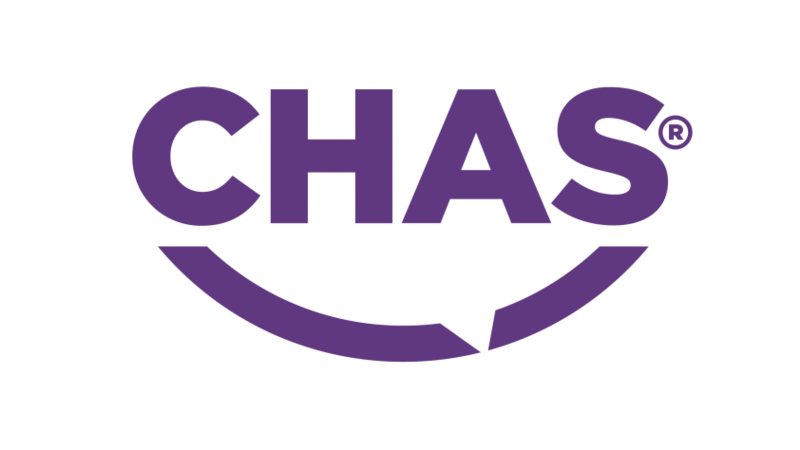 CHAS is not only a trusted advisor on health and safety compliance, they are also an authority. The UK's leading procurement and supply chain management service that collects, assesses and monitors standard company information through a question set that is aligned to PAS 91, the standardised pre-qualification questionnaire developed by BSI to reduce duplication within the construction industry. An assessment scheme which is recognised by the HSE and accreditation schemes that have quality assurance processes in place. Carpet & Upholstery, Kitchen deep cleans, Duct Extraction Systems, Builders &Sparkle cleans, Refurbishment & Refit cleans.